and to mailing it... we can do it all for you! 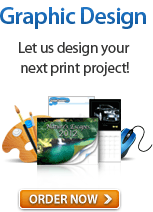 Convenience Designing, printing, and mailing, we can do it all for you! We're just a phone call or a few clicks away. Great Prices Save big with our discounted postage rates. Have a finished postcard design? With a few clicks and keystrokes, our website will walk you through starting your campaign. Our specialists will help you. 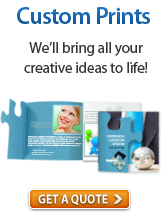 Talk to us about creating the best mailing campaign at competitive rates. CASS Certification: Coding Accuracy Support System (CASS) adds Zip+4 codes to your mailing list wherever possible. We also add postal barcodes to your mail pieces and remove duplicates or non-deliverable addresses. This service is standard for all of our mailings assuring that your mailing list is properly sorted before it is mailed. Addressing - The only text allowed in the address space is the mailing stamp or indicia and the recipient's address. USPS automation does not read graphics, screens or other designs. Mailing lists should be submitted as either an Excel file or Comma-Delimited ASCII file. 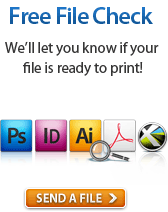 Turnaround time for mail processing of your printed pieces is 1-2 business days. Postal rates are determined by the number of mail pieces, size and area of mailing. Exact postage will be determined once the data file has been processed. Preparing mail according to Postal Service Guidelines allows your mail to be delivered as quickly and affordably as possible. Min: 3.5 x 5" Max: 4.25" x 6" Min: 3.5" x 5" Max: 6" x 11" Min: 3.5" x 5" Max: 6" x 11"
Min: .007" Max: .25" Min: .007" Max: .25" Min: .007" Max: .25"
Call 1-888-PRINT-89 to get started today. Exact postage will be determined once the data file has been processed.